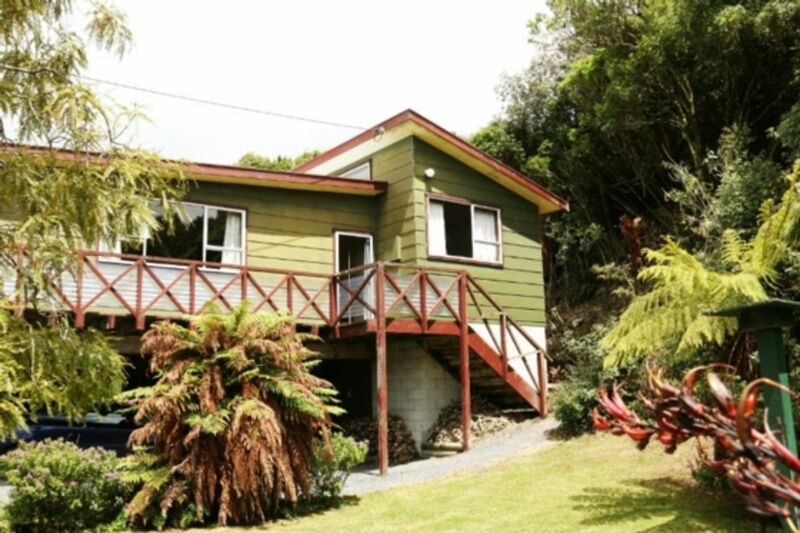 Warm 3 bedroom house with large open plan living area nestled into the bush. 300m to water front and playground. Nearby golf course, and horse trekking. Flounder and trout can be caught year round in the Owaka River (trout fishing requires a licence available in Owaka). Great walk along Surat Bay to False Islet, view the sea lions en route. Owaka 5 minutes away has a small supermarket (you can buy a fishing licence here) and a tourist information centre. Use Pounawea as your base camp to explore the Catlins, there are many scenic attractions short car distances away. Over the winter months we offer great special rates especially for longer periods of rentals. Please contact us for a quote. No charge for children under 5. Please contact us for quotes on longer periods of rental. We are keen for you to share our wee slice of heaven so come along and enjoy the peace and tranquillity that Pounawea has to offer. We were a large party with small children and we all loved our time here. The house was clean and spacious with everything we needed - including a great selection of games. The location was perfect for exploring the amazing area. Thanks so much for our great holiday - we're sure to be back! There is plenty of room to spread out and the house is only a couple of hundred metres from bush walks, kayaking and swimming spots. All the Catlins attractions are close-by and the wildlife hotspots Surat Bay and Cannibal Bay are only a few minutes drive. If it rains, take advantage and read a few pages of your latest book, then move on to some Scrabble. We will almost certainly be back next year with grandchildren and the double sit-on kayak. This is a home-away-from-home for anyone who enjoys the outdoors. Great base even when the weather's bad. The house is very well equipped, comfortable and well cared for. It is very conveniently located close to some delightful walks and scenery and a short drive from Owaka for groceries, dining and a visit to a very interesting museum.